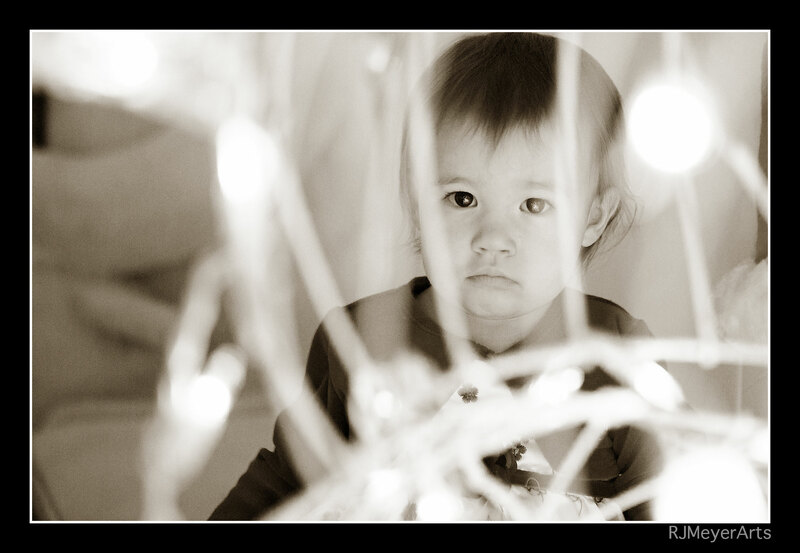 ‘Tis the season… to photograph children and holiday lights. 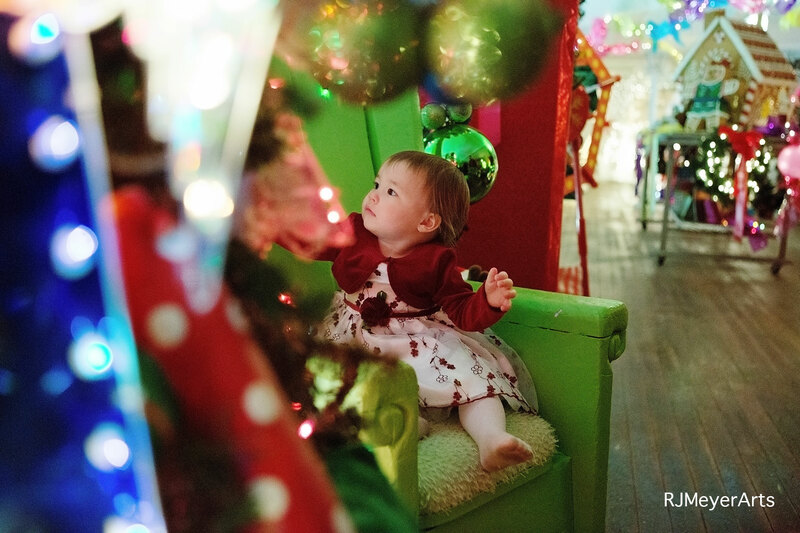 I had the opportunity to photograph this little tyke at a festive location: Santaland in Madison, Minnesota. Available light gives such a “magical” look when photographing children with holiday lighting with the goal being a pleasantly lit face with glowing lights. So… shut off your flash. 1) Set a wide aperture (low f-stop number) like f2.8, or as wide as your lens will go. 2) Bump up your ISO to around 800-1250 (not an exact science) I topped out my ISO on some of these since it was such a dark area with no outside lighting. 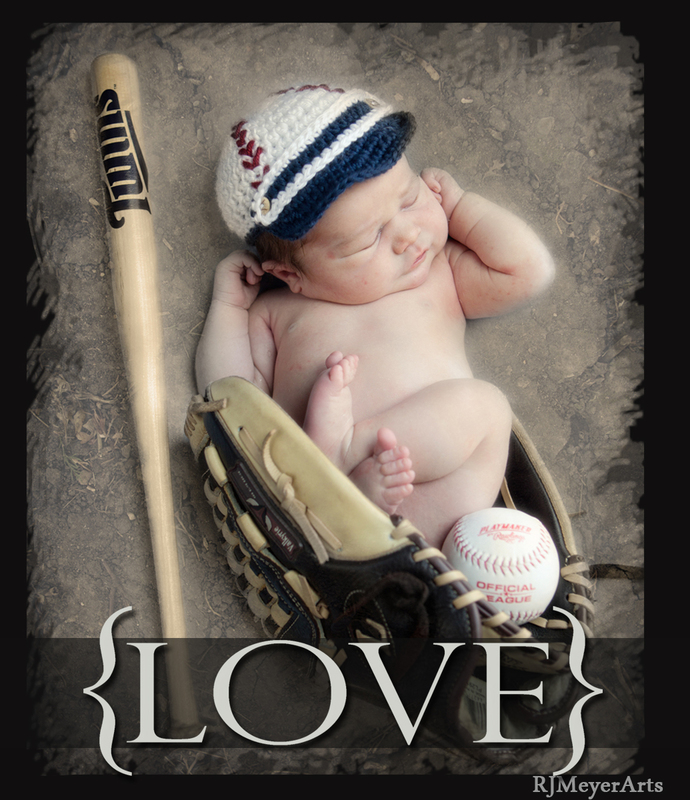 3) Make sure your shutter speed is at least 1/100th to freeze the subject. I had an active 1 1/2 year old subject so I cranked the shutter up to around 200. Now those numbers above aren’t a magic formula, but they give you a good starting point. If the Christmas lights aren’t bright enough, bump up the ISO or slow down your shutter speed (just not too slow unless you are going for a blurred motion look!!). It may help to have a little available light coming in through a window to light the subject, but not too much and no direct light since that would overpower the glowing holiday lights. Even lighting on the face is important. Image color look pretty weird? Either set the white balance in your camera while taking photos or adjust it in the post process in Lightroom or Photoshop. I shoot in Raw so I worry about it during the post-process steps. More information can be found on white balance here: What about White Balance? I’d highly recommend a trip to Santaland located upstairs above Heather Floral right on Main Street, Madison, Minnesota. 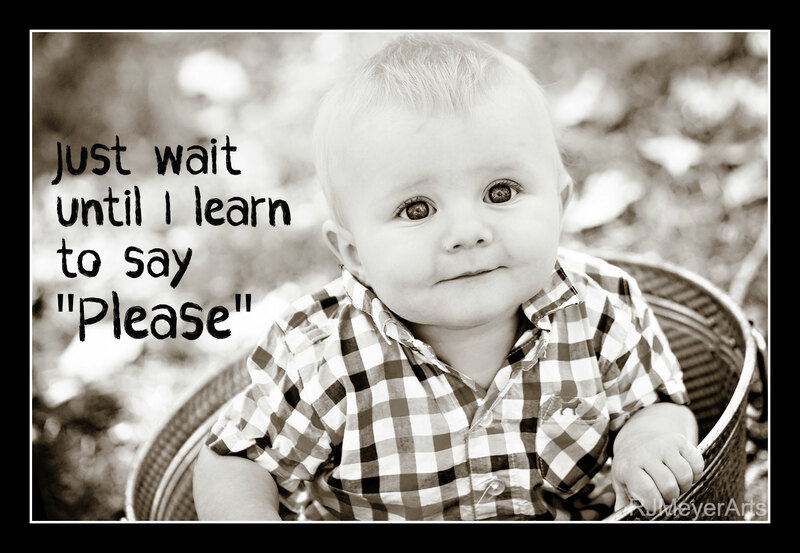 … and don’t forget your camera!! 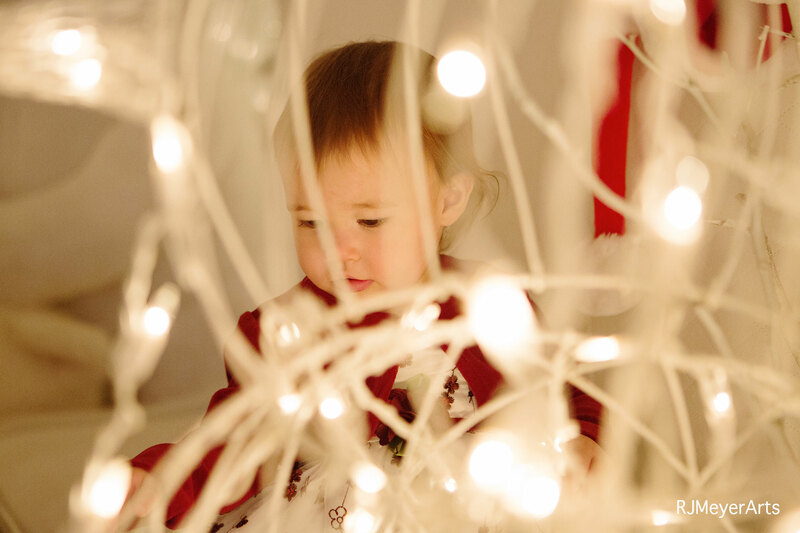 The light in a child’s eyes is all it takes to make Christmas a magical time of year. 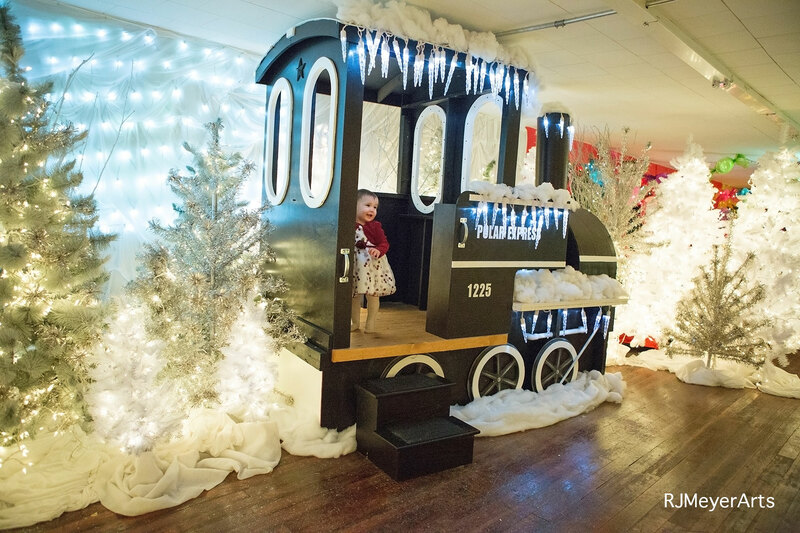 Image captured by available light at Santaland located at Heather Floral in Madison, Minnesota. Beautiful holiday displays and well worth the trip. 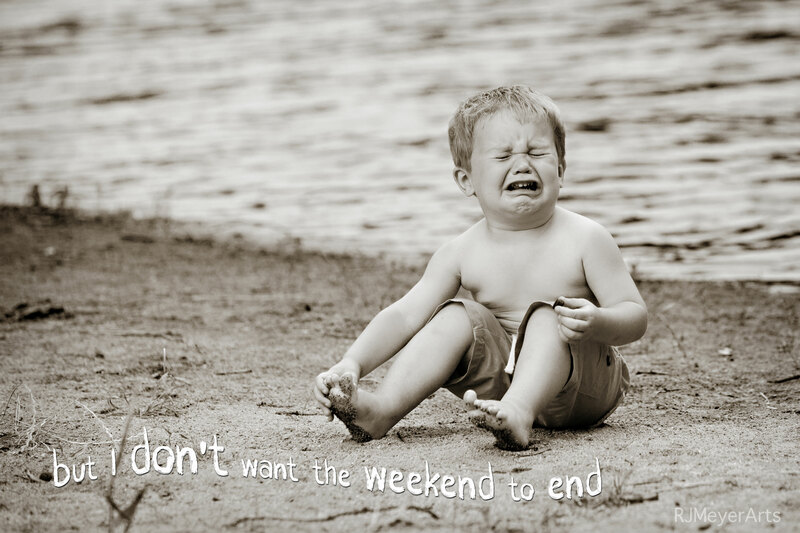 I don’t want the weekend to end! I think a lot of us are feeling this way today. you’re given the world as a birthday present. A day in the life… six months old.